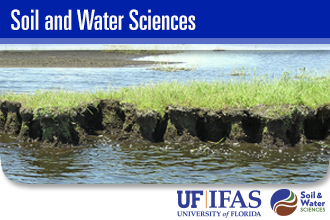 Dawn Lucas started working with the UF/IFAS Soil and Water Sciences Department when it was simply known as the Soil Science Department. 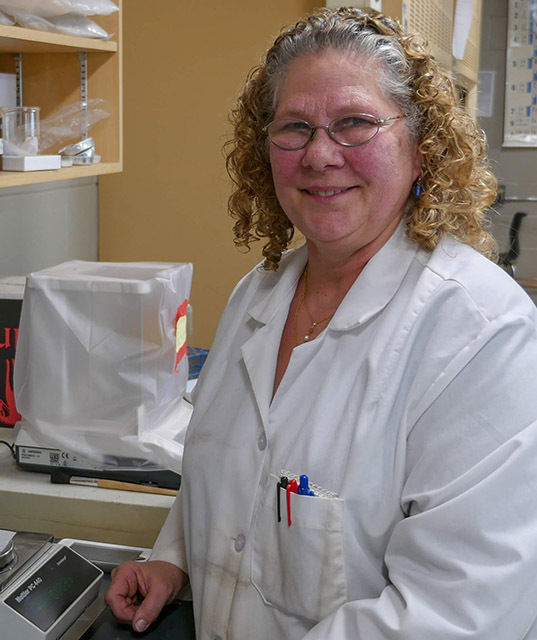 This month, she is retiring after 40-years of service with us. We talked to Dawn about her time at UF/IFAS. Dawn Lucas, Soil & Water Sciences chemist, in the Environmental Pedology and Land Use Laboratory. How did you begin working with the department? Prior to graduation I worked in the Soil Science Department as a temporary employee. In December 1976, I graduated with a B.S. in entomology and animal science from UF. I started working in what was then the Soil Science Department in March 1977. The professor who hired me asked how long I thought I would be working here. I had just graduated, and I was engaged to be married, so I just didn’t know. I told him two, maybe three, years. What have you done as a scientific staff member? I primarily worked with water quality and plant nutrition, under two former faculty members. I like the variety, the field work we conducted, the lab analysis, the sampling of soils, water, plants – collecting those in different environments was interesting. It was a challenge doing field work in the heat of July and August, but I loved the job. I never taught a class, but I helped the faculty get the lab ready for a class. I helped students working on research in the lab with procedure and analysis. The past few years, I have been working in the Environmental Pedology and Land Use Laboratory. Technology has changed the most. I’m not a technical person, so there have been times I had to ask the students to help me with computer software. Leadership has definitely changed. Since I started working here in 1977, the department has seen six chairmen. I have worked under 11 faculty members. I love the people. I love the work. I love the students. I will miss the interaction with the students and my coworkers. I’ve loved this for 40 years, and to think I was just going to be here two or three years. To be here this long, you have to love it. As far as the graduate students, it’s fun to see some of them come back to UF now as faculty members. It’s nice to see that, knowing how they were back then. I plan to spend some time on my farm. I have goats, chickens, my cats and dogs all on ten acres. It’s a small hobby farm. I want to travel the United States. I have a friend who is retired, and she wants to do some driving around with me. I have family around the Southeast and the Eastern United States, so I want to visit them. I’m anxious about the retirement phase, because I love this job so much. I hate to leave it, but I know it’s time.